A young Captain Bill Fitch was a project pilot in VX5 at NOTS China Lake, California during the late 1950s. There was little interest in Conventional Weapons At that time because of the Eisenhower strategy of using nuclear weapons when the U.S. had to go to war. 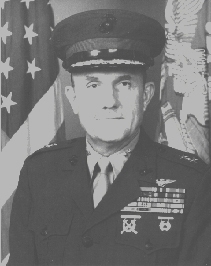 Captain Fitch had many VX special weapons projects for maintaining and improving the Nuclear superiority of Naval and Marine fleet aviation forces. 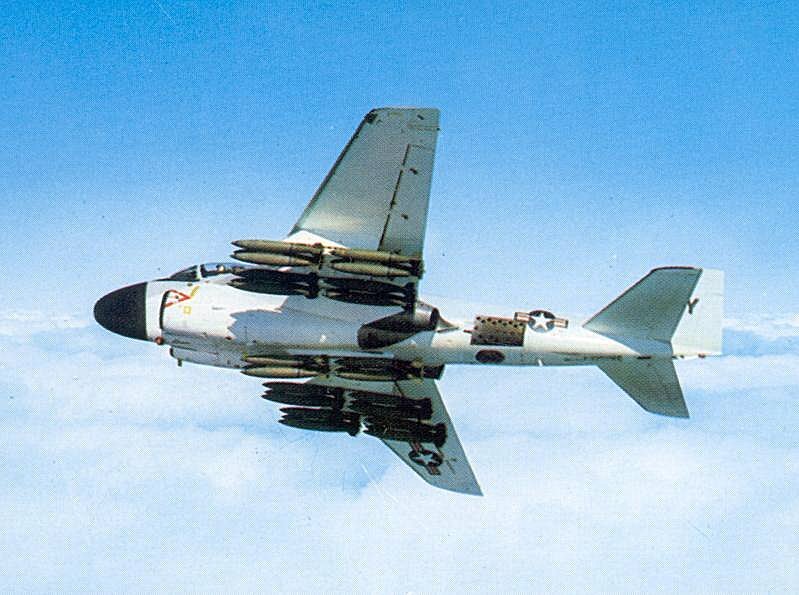 However, while there he also initiated action resulting in the development and invention of a prototype multiple carriage bomb rack for the delivery of conventional air to ground ordnance on the Douglas A4 Skyhawk aircraft. In 1959 Major K. P. Rice USMC, invented and constructed much needed conventional bomb racks called the MCBR. Bill Fitch proved the value of the MBRs in air to ground conventional weapons delivery by dropping the first high explosive MK-81 bombs from the MBRs at MCB Camp Pendleton, CA live fire ranges on June 27, 1960. It was two months after Fitch officially transferred to VMA-311 from VX-5. Captain Fitch borrowed three of the Major Rice fabricated MBRs from VX-5 and dropped 18 MK-81 250 pound High Explosive bombs while flying a VMA-311 A4D-2 Skyhawk with BuNo 142943. Captain Fitch also flew A4D-2 BuNo 142898 in a flight demonstration for General Shoup on June 29, 1960 where he again dropped 18 MK-81 live HE bombs at Camp Pendleton Range. Captain Fitch personally established the operational worthiness of the MBRs during his live bomb demonstrations. The design and construction work of (then) Major K.P. Rice USMC, assisted, coordinated and expedited by Commander Cox USN and flight tested by Captain Bill Fitch resulted in operational A4 Multiple Bomb Racks (MBRs) that provided valuable weapons employment capabilities along with great monetary savings to the U.S. Government. In February 1964, a U. S. patent on the MCBR was issued in the name of Captain Bill Fitch who flight tested the new racks. Common nomenclature for the newly invented rack in the fleet was the MBR which became the standard delivery rack for virtually all Navy and Marine aircraft. In 1960, Captain Hal Vincent, a Pax River Test Pilot in both the A4 and the F8 Crusader, and a graduate of the Air Force Fighter Weapons School in the F-100 aircraft replaced Captain Fitch. Captain Vincent was assigned to the CNO project O/V 5, for the development of tactics and delivery of nuclear and conventional air to ground weapons. Soon after arrival the squadron was notified to evaluate the F-4 for delivery of a nuclear weapon on the aircraft centerline station. Vincent was sent to VX-4 and given a one flight checkout in an F-4 and then flew the F4 to VX-5 for use in his nuke project. Testing of the F-4 in LABS delivery of a centerline nuke weapon was in full swing but Hal also discovered that NOTS China Lake had been working diligently on the development of many new conventional air to ground weapons in apparent anticipation of a future need for them. The foresight of VX-5 brought outstanding munitions to military aviation including Snakeye, Gladeye, Weteye, Walleye, Lazy dog, etc. A few months into the F-4 project Vincent received a call from a Air Force Fighter Weapons school classmate, asking to borrow some of the conventional bomb racks previously developed by Bill Fitch. Fighter Weapons School was to put on a big show for the USAF brass on conventional weapons capability. Of course they both knew that the Air Force had no multiple carriage bomb racks and would be limited to dropping only one bomb from each wing and fuselage station. Admiral Pirie, the Op 5 Commander, turned down the Air Force request. 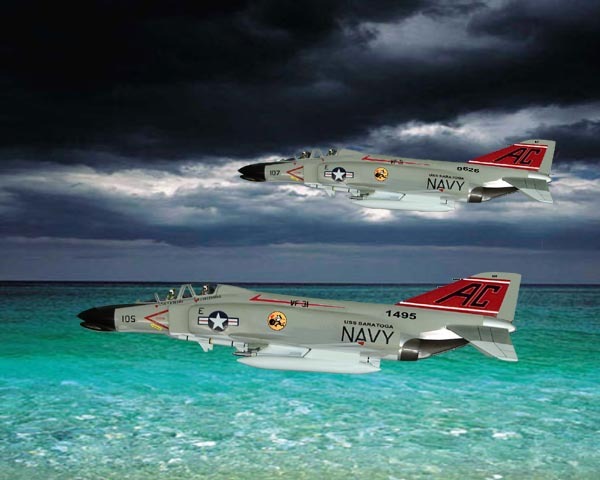 Tom Miller recalls, "It was during a debrief of the results of the competitive operation between the F-106 and the F4H-1 held in the Pentagon that Admiral Pirie offered in person to the CG of USAF TACAIR to provide an F-4 bombing demonstration. Since I was present during this meeting I came away with the impression that the TACAIR personnel were very impressed with the fighter capabilities of the F4H-1 and that caused Admiral Pirie to bring up the bombing capabilities of the F-4." Admiral Pirie explained to VX personnel that the Naval Service was going to put on a show with the new conventional weapons and multiple bomb racks that would demonstrate to the world which services had a perfected conventional weapons capability. The statement by Adm Pirie was followed by a blizzard of messages setting up Nav Tac 1 conventional weapons bombing demonstration at MCAS Cherry Point and New River, North Carolina in April 1961.What caused all this sudden interest in conventional weapons? It turned out that President Kennedy had read Maxwell Taylor's book, "The Uncertain Trumpet" that stressed how badly the United States needed a conventional weapons capability. Seemingly overnight, Hal Vincent's little project grew huge. All the newly developed VX conventional weapons quickly showed up on aircraft for testing and development of delivery methods and modes. As a joke one day at VX-5, Vincent had one MBR from his A-4 projects, hung on the centerline of the single special weapons F-4 project aircraft. Somehow the McDonnell representative got a picture and the picture was sent to McDonnell Aircraft Company, and from there went around the world. Soon queries came back on the possible "Air to ground capability". Captain Vincent soon cut one of the MBRs in half, had the wiring installed and thereby created a TER (triple ejector rack) for the two small stations on the F-4. The machine shop worked on an F-4 MBR, but McDonnell Aircraft working with VX-5, came up with a heavy Iron Beam prototype rack for the F-4. VX-5 started to drop bombs from their only F-4 using very ugly high drag racks. 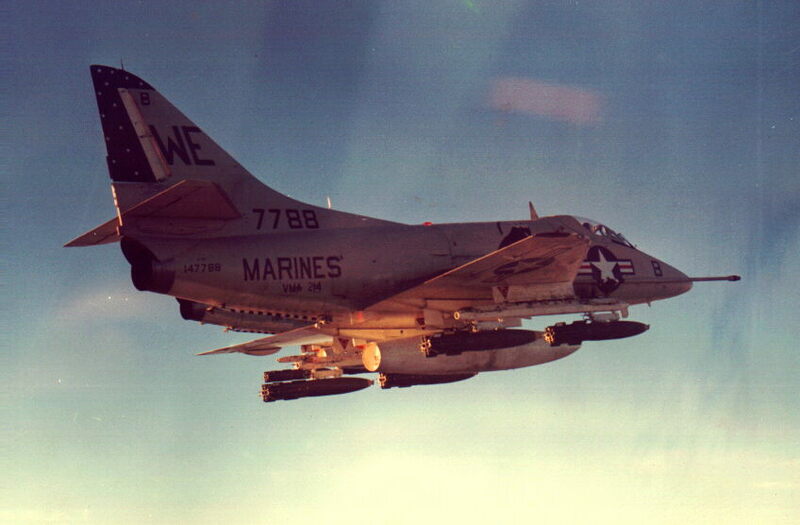 The drag caused the F-4 to only fly to the target at a speed of about .75 IMN. In any case they had the start of a conventional weapons capability on the F-4 in spite of some Marine leaders desires to keep it an air to air interceptor only. Tom Miller recalls, "On 17 & 18 April 1961, Captain Timmes (OP-05 Staff) and I flew an F9F-8T (Bu.`No. 147376) to Miramar to see how the F4H-1 RAG Squadron (VF-121) was getting along. I received a call from Adm. Pirie (OP-O5) to go to Edwards and pickup F4H-1F (Bu. No. 145310) which had been fitted with some unconventional bomb rack mounts, and fly it first to St. Louis so the MAC plant could check over the installation, and then fly it to Cherry Point to put on a maximum bomb drop demonstration for the Air Force TAC Commander." 'I arrived at Cherry Point on 21 April 1961. The plan called for a maximum bomb load drop of 22, 500lb.bombs on the Camp Lejeune target range on 25 April 1961. A practice flight was flown on the 24th and the flight went off on the 25th without a hitch. However, a call was received from Adm. Pirie's office that another demonstration flight be flown on the 26th due to some other VIPs that were unable to attend the demonstration on the 25th. The flight on the 26th went off without any hitches. Following this demonstration I flew the Phantom back to St. Louis that afternoon." Nav Tac 2 and 3 would be follow on VIP air to ground conventional weapons demonstrations on the East Coast. A scenario was developed that had CAG Bob Baldwin hitting the beach from a CV in the morning with many congressmen, dignitaries and even General LeMay viewing from bleachers on the beach. The Bullpup expert of the world came from VX-4, Point Mugu sent TPQ-10 expert Capt. Bob Norton, a company A-6 was flown down from Grumman to be loaded with 30/500# bombs on the MBRS Hal provided, all the highly developed new conventional weapons not in sufficient supply to be dropped, would be put on static display. Vincent was on leave in Laguna Beach when early on a Sunday morning he was awakened by two CHP officers and told to go directly to Edwards AFB and pick up a Company F-4 Phantom from McDonnell Aircraft. The F-4 was to have VX made MBRs on it, and was to be flown direct to MCAS Cherry Point, NC. It turned out the F-4 had so much drag from the MBRs that max mach maintained was .7 and three in route fuel stops were required. Again Tom Miller relates the events, "In June 1961, I was on leave and was camping with some friends on a lake in southern Virginia, Two Highway Patrol officers informed me that I had an important call from Washington. The call was from Admiral Pirie's office informing me that a Marine Captain Vincent would be delivering an F- 4 to Cherry Point and I was to repeat the demonstrations that I had performed in April 1961, on 12,13, and 14 June 1961. I drove to Cherry Point and had to borrow flight clothing since all I had was camping clothes. These demonstration flights went off without any problems and to the best of my knowledge Major Vincent returned the aircraft to St. Louis sometime after 24 June since my flight log shows that I flew a demonstration flight for a senior officer at Cherry Point in the RIO's seat on the 24th of June 1961." Vincent's division of four A-4 Skyhawks were to be flown back east from VX-5, to join up there where Hal would lead them through the Jet LABS maneuver in the morning, and the bombing demo in the afternoon with 18 250 bombs each. Tom Miller was called back by the state police who found him, to fly the F4 Vincent delivered. As we recall his first drop was 22 500# bombs. Tex Birdwell came back to fly the A6, provided by the Grumman company, and also loaded with thirty 500 lb bombs. The day before the show, with Captain Vincent in the A-6 right seat, Tex flew a practice run and dropped 30 inert 500 lb bombs. The day of the show started with a beach prep led by CAG Baldwin. Next came four A-4s in low level, did the LABS pitch up to about 33 deg. and all 18 bombs on each of the four aircraft released towards the target. The pilots had the correct wind and the bombs actually hit the target. Then a steady procession of A-6, A-4, TPQ-10 drops, Napalm, Bullpup deliveries followed. The people in the stands, including General LeMay were most impressed with what was a great day for Marine/Navy aviation as demonstrated by the talent of VX and NOTS China Lake personnel. 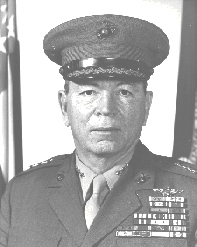 Years later Bill Fitch and Tom Miller retired as Lieutenant Generals. 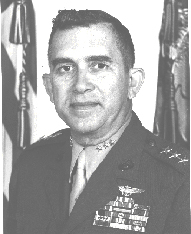 Hal Vincent retired as a Major General.